Do you want to build relationships with parents? Do you want to have an easy way to communicate with parents this school year? 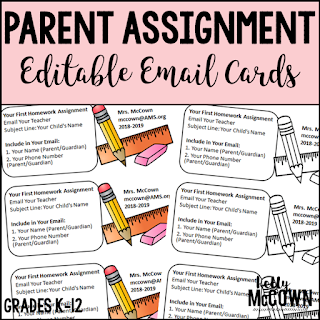 These Parent Assignment Editable Email Cards are a great way to get parents communicating and involved your classroom! 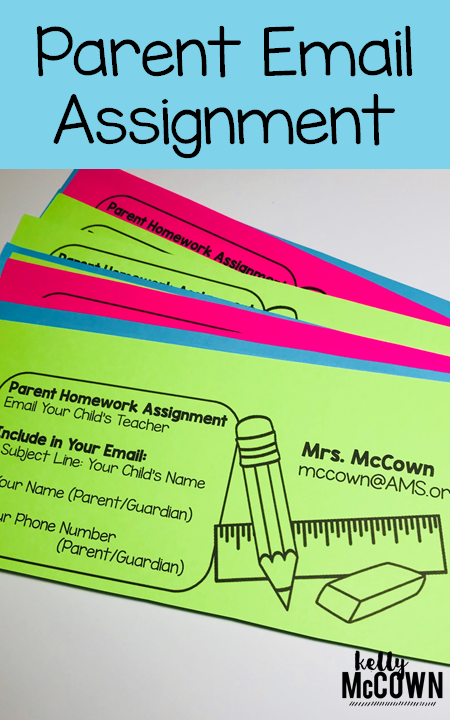 This assignment is for parents to complete and email the teacher all the current communication information. The pages are editable for any teacher to use. Give this assignment during the beginning of the year and start building relationships with parents today! Print on Astrobrights for bright announcement for parents. Just fill in your email address and print! Hands down the best way to communicate with parents in the busy world today is email and the telephone. If you just need to send a quick note you can email it to a parent, now that you have their correct address. Need to talk personally to a parent? This form also has the parent send you their most current phone number. With over 95% of parents emailing within the first week of school, you will be able to have all their update to date information. After receiving the homework assignment email from the parent be sure to send back a quick reply. "Thank you for your email. I look forward to having a great school year with your child. This is an easy receipt to sender to confirm their email was received. Then save their email to a folder labelled "Parent Contact Emails" for easy access in the future. This can be a quick and easy tool for your classroom to setup a communications system with all your parents. 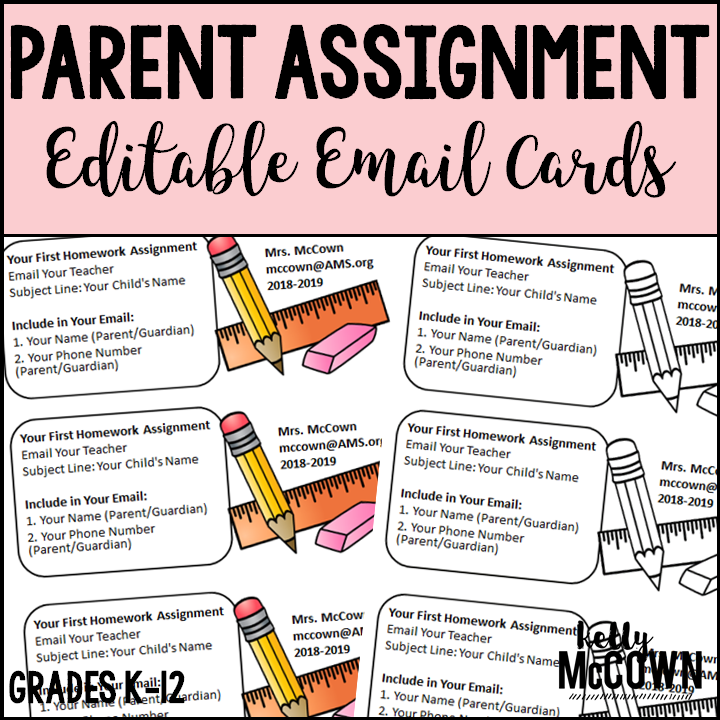 Let them know in the syllabus or by email how often you will reply to an email (example: Mrs. McCown will respond within 24 to 48 hours to any email or telephone call). Parents will be glad to know you have open communication with them and that they can build a relationship with the teacher to meet the needs of their student.